With the support of CLAN, the National Hospital of Pediatrics (NHP) in Hanoi, Children's Hospital Westmead (CHW in Sydney, Australia), the Rotary Club of Dee Why Warringah, Wishbone Day and other key partners, the launch of Vietnam's Inaugural Osteogenesis Imperfecta (OI) Club was achieved! This was a special day with a gathering of 74 families all with children who are living with Osteogenesis Imperfecta (OI) in Vietnam. 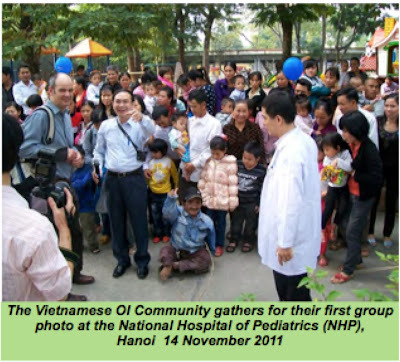 We are excited that Wishbone Day 2012 will be celebrated by our OI Families in Vietnam and that ongoing development for awareness and better outcomes for families. Here is a reflection of this amazing day from CLAN. I am having the best time here in Europe even though Ute and I, have both caught a little cold. We have been sneezing and sniffling - ACHOOOO! In Sevilla we had 40°c and here in Germany about 35°c less .... it's very chilly. I may need to buy a nice warm yellow scarf or woollen hat to keep warm. 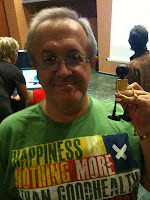 Last weekend in Sevilla, Spain I attended the Spanish OI Congress of AHUCE. I spent lots of time with my good buddy Raffa and met so many other new and old friends. 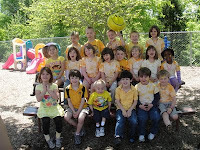 Look how many new friends I made this day! We had such a wonderful time together and I have learned so much. 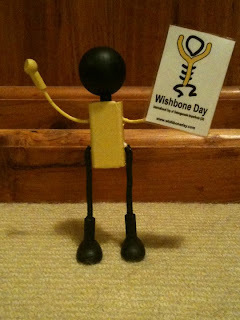 I can't wait to see all their creative ideas for celebrating Wishbone Day 2012. I am sure it will be the best and biggest Wishbone Day EVER! 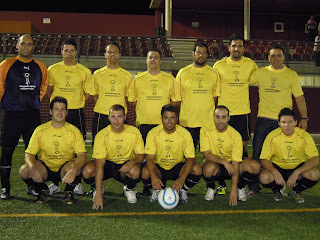 Just the other day I learned about the new Wishbone Day Soccer team in Gran Canaria (Canary Islands). 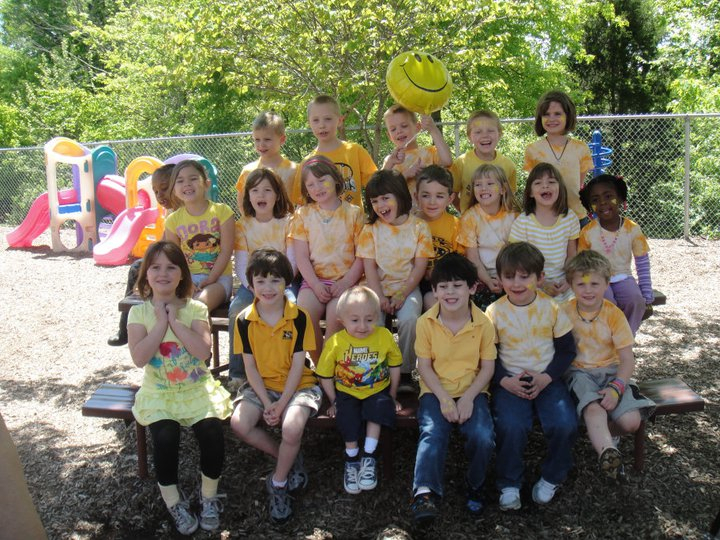 Look how awesome they look in their bright Wishbone Day yellow uniforms! I will write more about them soon so watch for updates on my latest news. 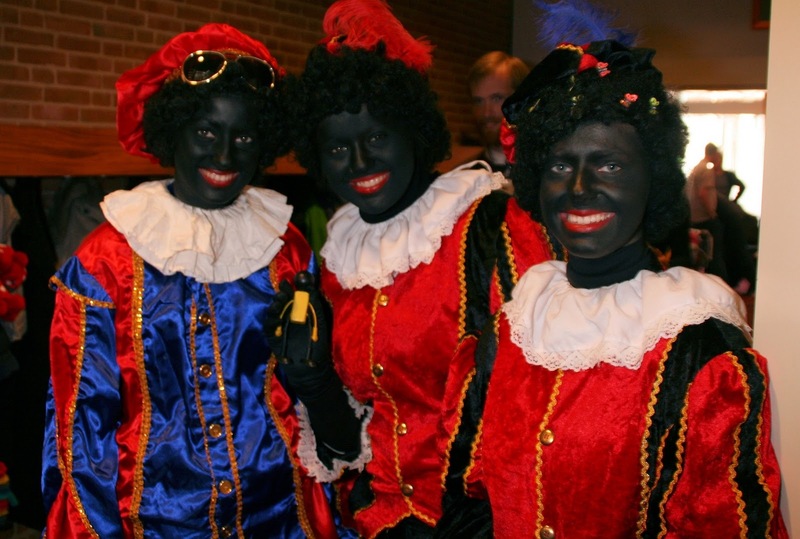 Tomorrow I will visit a small OI meeting in Germany. I am looking forward to meeting many more beautiful friends. In December, I have been invited to cross the big ocean to visit the Latin American OI Congress in Quito/Ecuador! I am so excited for this part of my trip. 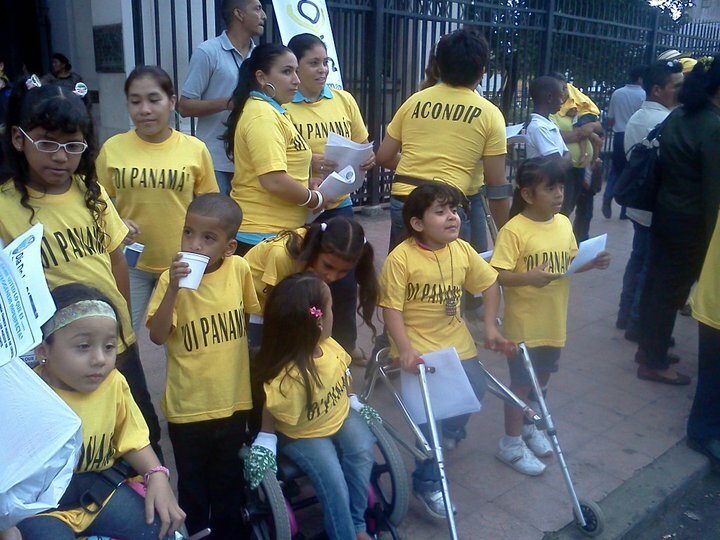 I can't wait to meet my friends from Ecuador! From Ecuador my friends have suggested that I visit Peru and then go to Mexico! 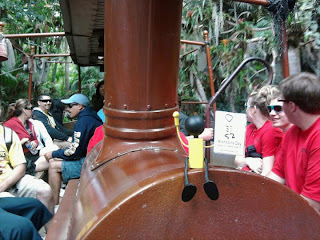 I am not sure who will be my travel buddy, so please let me know if you can help me with my travels to Peru and Mexico! I am having such a great time here. It is so very beautiful! I'm not sure how this post got missed. I think it must have got caught up in my luggage while I was travelling from country to county. My apologies for the very late UPDATE! 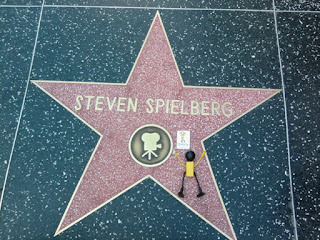 Before I flew to Germany and Spain, I spent four lovely weeks in the USA. I had planned on going to Camp Attitude where so many of my good friends and OI family visit each year but unfortunately my flight from Australia was delayed and I was one day too late to travel with my buddies to camp. I was thrilled that my friends made up for me not being there in person by adding me in spirit to their activities. 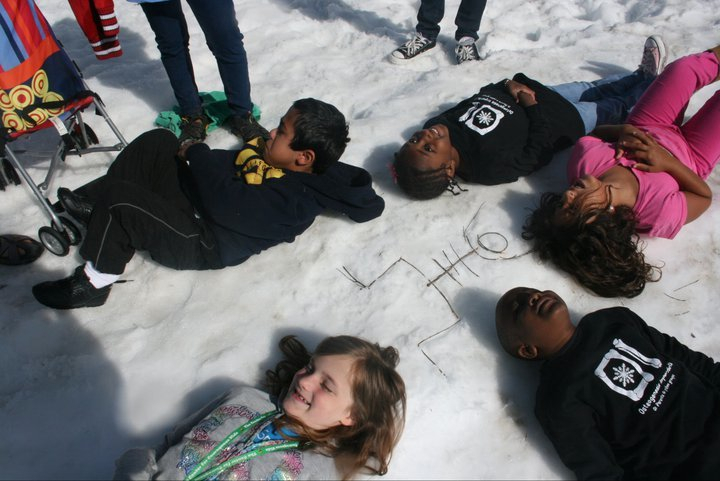 Here is Aubrey with Wishbone Day face-paint and Avery, Alexi, Lexi, Robbie and Halle with a picture of me made in the snow. What fun! 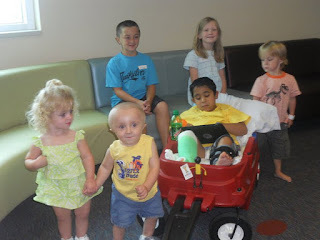 Next, I travelled to Omaha with Avery and Mary to visit with Dr Esposito at the OI Clinic. I was so excited to finally meet all the staff, kids and families that visited. Jennifer had posted me a note way back in May inviting me to Omaha, so I was very excited to finally be here! I met many great friends and had such a fun time. Avery even gave me a ride on his wagon! Woooo!! 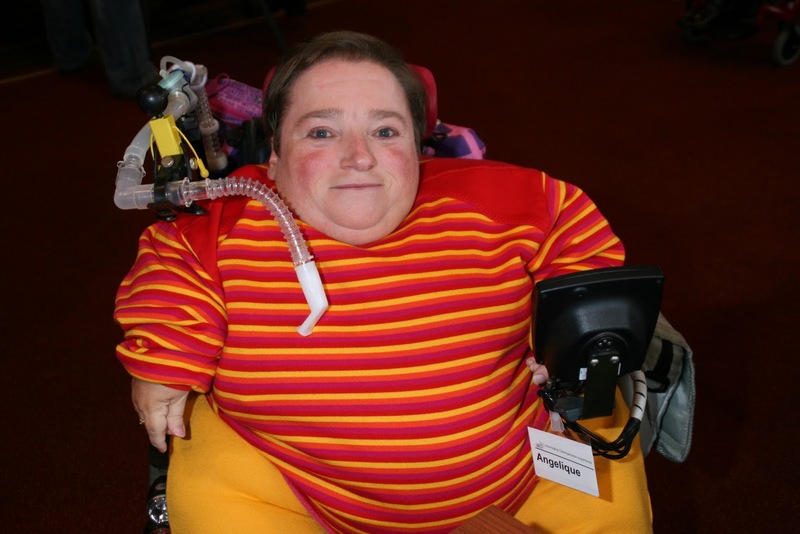 Mary reminded us that we should do a Wishbone Day clip to add to the next Wishbone Day promo video. 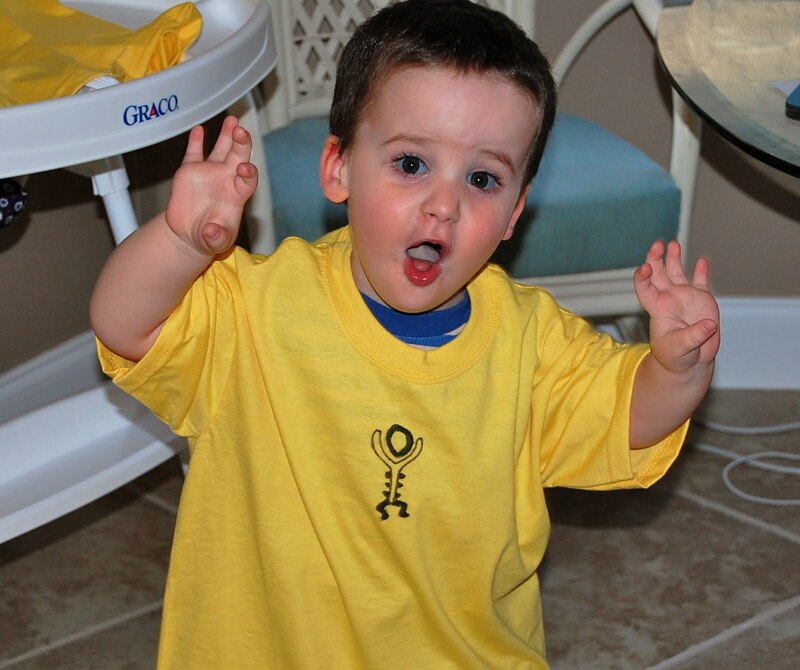 Jonathon and Dr Esposito practiced their lines: Why is Wishbone Day Important? Because awareness makes a difference! It was so funny when Dr Esposito forgot his line! Oh NO!! He better practice lots before Wishbone Day 2012! 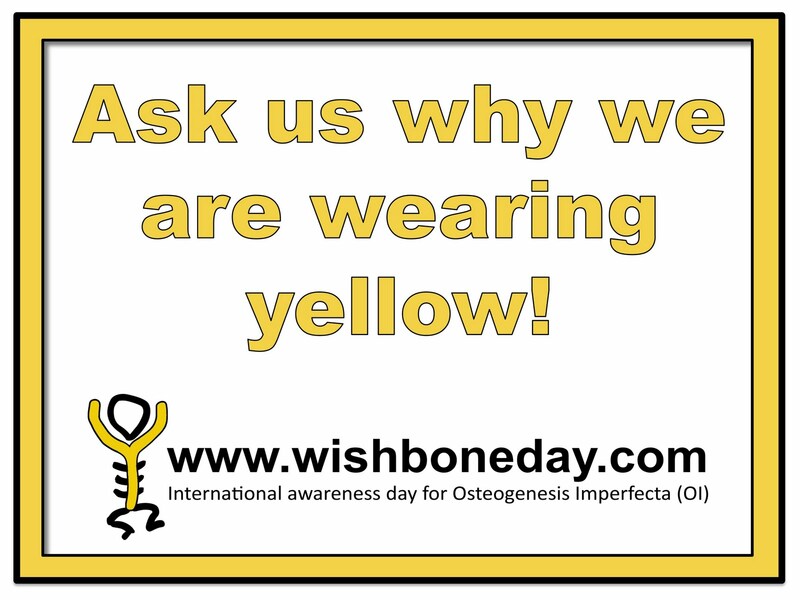 Next time you visit Dr Esposito at Omaha be sure to ask him: Why is Wishbone Day important? and if he forgets, remind him - Because awareness makes a difference! Don't be shy, say hi!! Did you know? 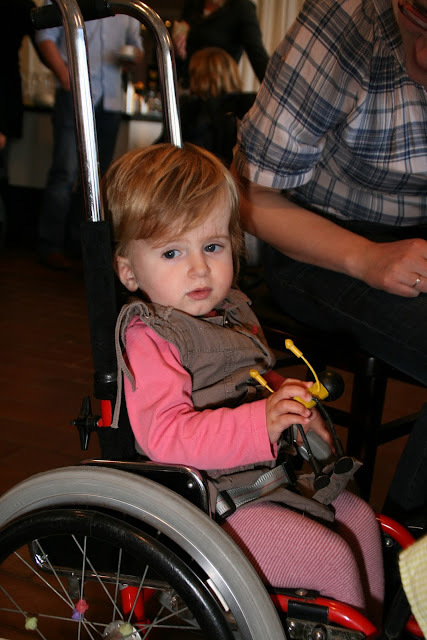 on Monday 14 November, Vietnam will have their very first Osteogenesis Imperfecta (OI) Club? CLAN (Caring & Living as Neighbours) is a community development based organisation committed to bringing the highest quality of life possible for all children. 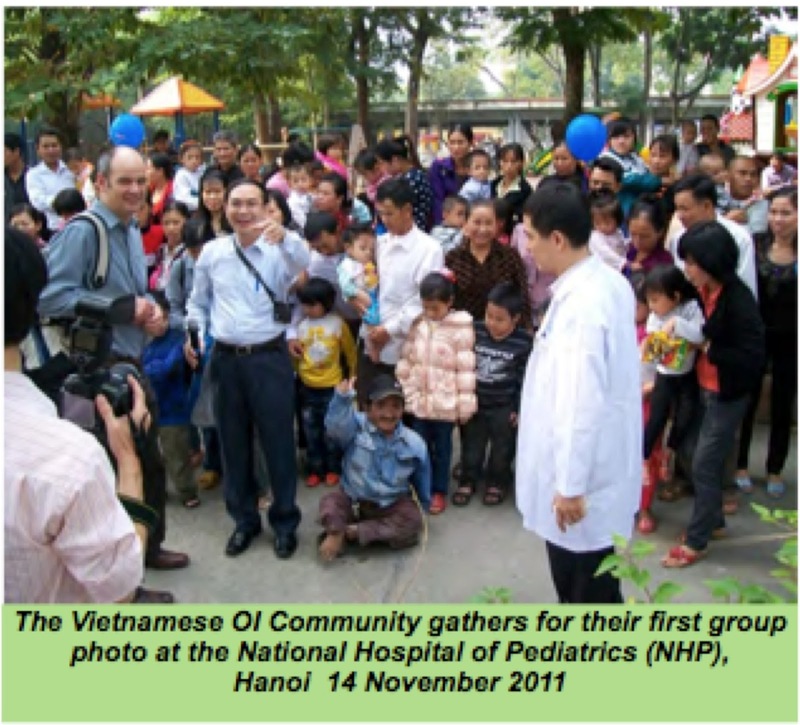 In November 2011, CLAN will bring together around 120 children with OI, their families and supporters to launch the first OI Club in Vietnam! 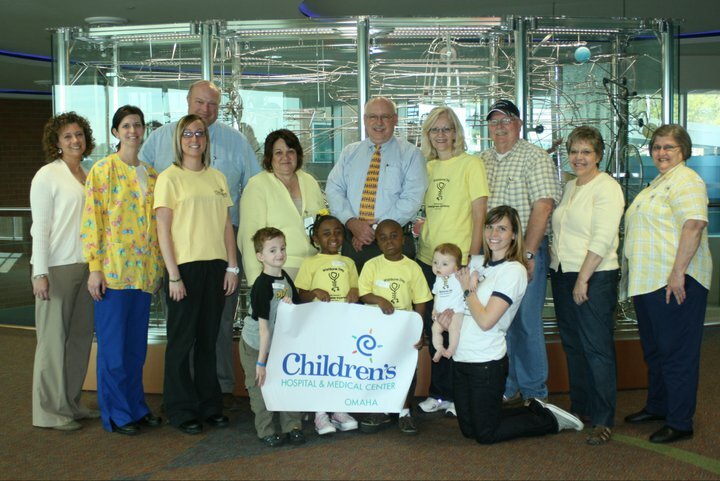 Through this club, families, friends and the community will discover the best ways to ensure their children enjoy the highest quality of life possible. Starting a new club isn't easy. Our friends in the Philippines launched their first OI club at the beginning of Wishbone Day in 2010. With the help of Rotary Club of Dee Why Warringah, Batangas Rotary and other generous friends the OI Support-Philippines was launched and is growing each day. Click here to read their message of success to families in Vietnam. 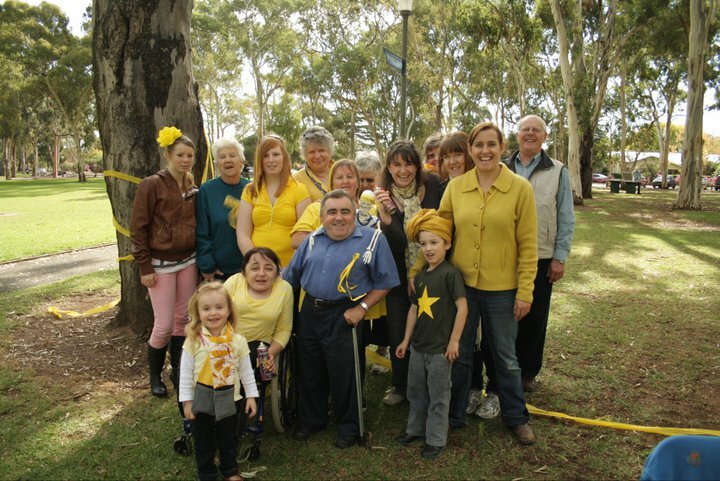 CLAN will bring together supporters from the National Hospital of Pediatrics (NHP) in Hanoi, Children's Hospital Westmead (CHW in Sydney, Australia), Wishbone Day and other key partners to support the launch of this Inaugural Osteogenesis Imperfecta (OI) Club. Click here to learn more about this exciting development. Click here to learn more about CLAN. Let us know if you have exciting new OI developments we can share. Because awareness makes a difference! My adventure in Europe has been fantastic so far! I love it here!! 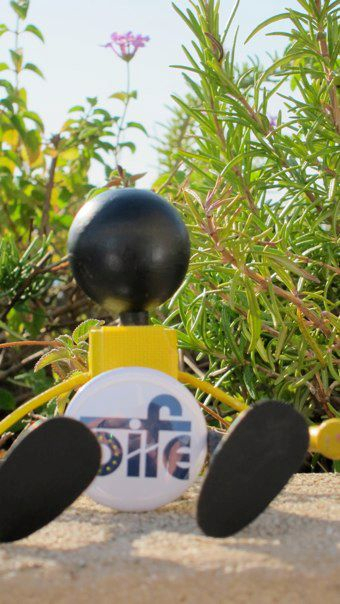 I attended the OIFE's19th annual meeting and then the really exciting Scientific Conference in Dubrovnik, Croatia. 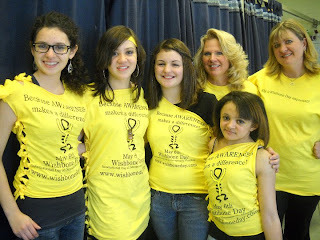 I've met many new friends who are planning Wishbone Day events for 2012. I really think that Wishbone Day 2012 will be the best we've ever had! Thank you Ute from OIFE for introducing me to so many wonderful friends. 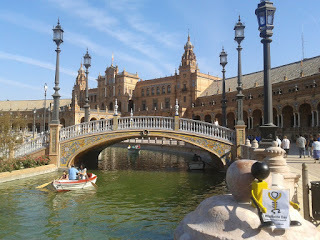 On Thursday I arrived in Sevilla, Spain. 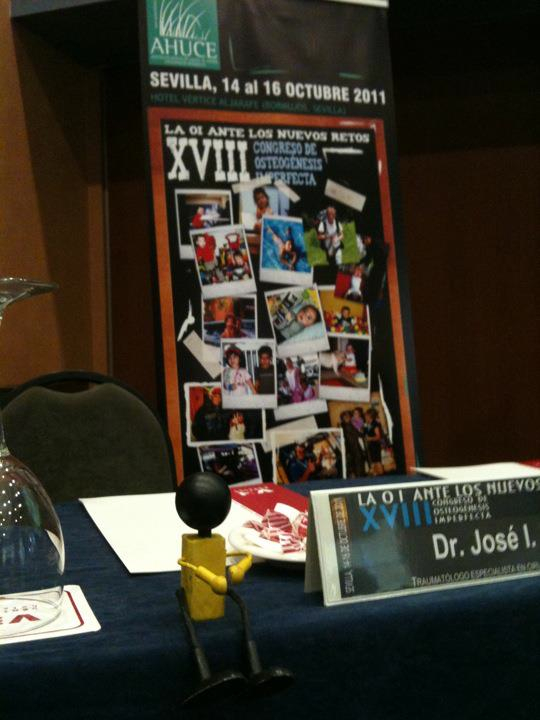 I am visiting at the OI-Congress of OIFE's Spanish member organisation. I am so excited to be spending time with my friends from Spain. 'Did you know' that when Wishbone Day first started in 2010, Spain was our first group of friends outside of Australia to translate Wishbone Day into another language other than English? 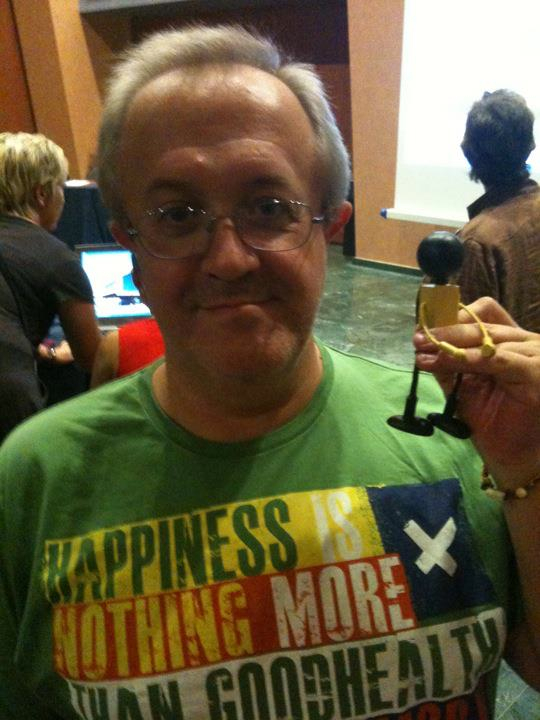 This is me with Rafa, who has helped so much with Wishbone Day in Spain! Thank you Rafa!! Next week I will visit with friends in Germany and then in December, I'm off to Quito, Ecuador! Maria Barbero and Oliver Semler, a paediatrician from Cologne University Clinic for Children will be my hosts and travel buddies. Together we will attend the second Latin American OI Congress in Quito, Ecuador. My friends back in Australia have told me that Dr Kate Armstrong from CLAN and A/Prof Craig Munns from the Childrens Hospital at Westmead were awesome at the presentation with Rotary Dee Why Warringah on Tuesday night (11 October). 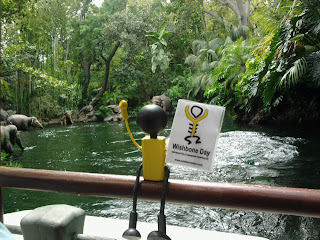 I am so excited that soon friends in Vietnam will join our global OI family and will be celebrating Wishbone Day in 2012. If you'd like to be my host where you live, please let me know through my Facebook page! or email Jo and I will do my very best to get there! I arrived safely in Germany and met up with my travel buddy Ute from OIFE. We travelled together to the OIFE conference in Dubrovnik, Croatia where I met some wonderful new friends including friends all the way from Australia, Helen Keogh and Professor David Silence! Can you see me in the photo below? 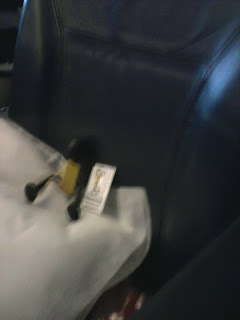 I'm sitting with my new friend Terese from Sweden! After the OIFE conference, I was so excited to be invited to join the 11th International Conference on OI! 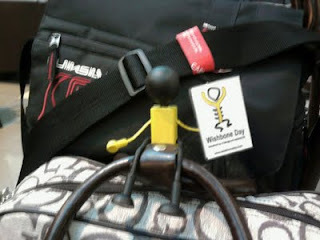 It is such an exciting time to be meeting so many amazing new friends and learning of all the awesome Wishbone Day ideas being planned for 2012. Awareness really does make a difference! I have just heard that there will be an OI conference for the first time in Mexico in January 2012. So, I am going to try and get to that one. Is there anyone who can put me up for a few days in Mexico? I need a travel buddy! Please leave me a comment or email me on wishy@wishboneday.com if you're keen to be my travel buddy in Mexico! I have also heard about the exciting news that our friends in Vietnam will soon be launching their OI Club. I can't wait to hear all about their first meeting in November! Maybe I could visit Vietnam sometime soon!! Ute was worried that I might be getting homesick. But no, I'm having far too much fun to be homesick! Soon I will say good bye to Croatia and head to Spain for the Congress on OI in Sevilla and will meet more OI family and friends! I can't wait! Spain here I come!! 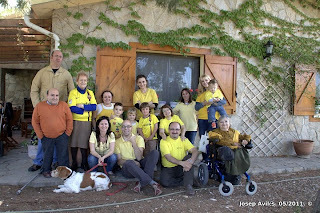 Wishbone Day 2011 News is here! We've had some requests to provide 'Wishbone Day News 2011 as a download' to print off and share with your friends and family. So we've answered the call with a condensed version of Wishbone Day 2011. You'll find a small sample of Wishbone Day celebration photos that were shared by Wishbone Day supporters and published via our website, as well as the FAQ and a few 'did you know...' info bites. 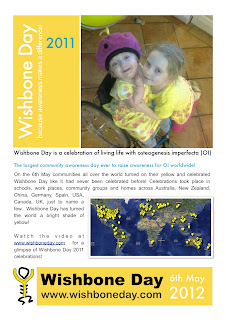 Download and print WishBone Day News 2011 to help your family, friends and colleagues learn more about Wishbone Day or send it to anyone who does not have access to the internet! 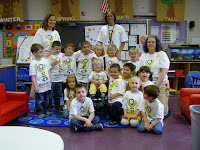 We would love to get details of your OI awareness events. You can also add your 'Did you know...' items by sending us interesting news about our OI community. I'll get you started :) Did you know... its only 221 days until Wishbone Day 2012!? 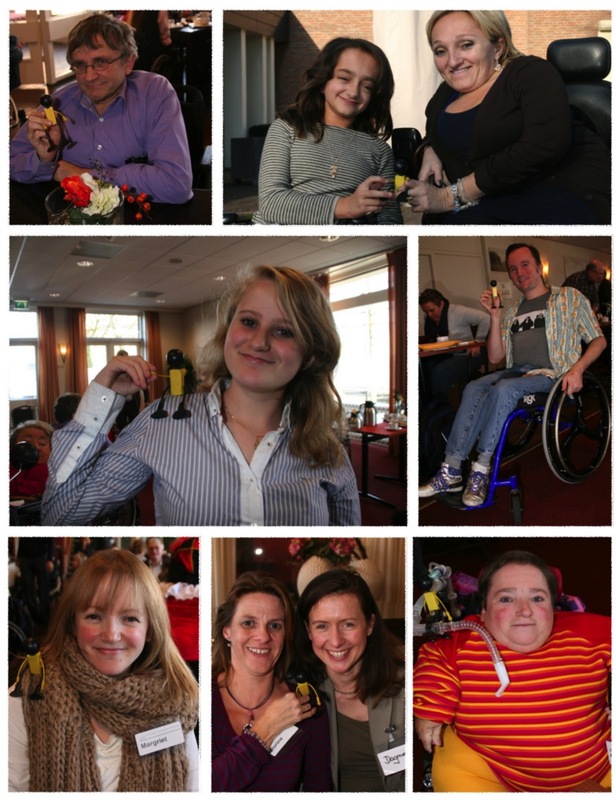 Wishbone Day 2011 was our second international awareness day for Osteogenesis Imperfecta and has been celebrated in communities across the world. 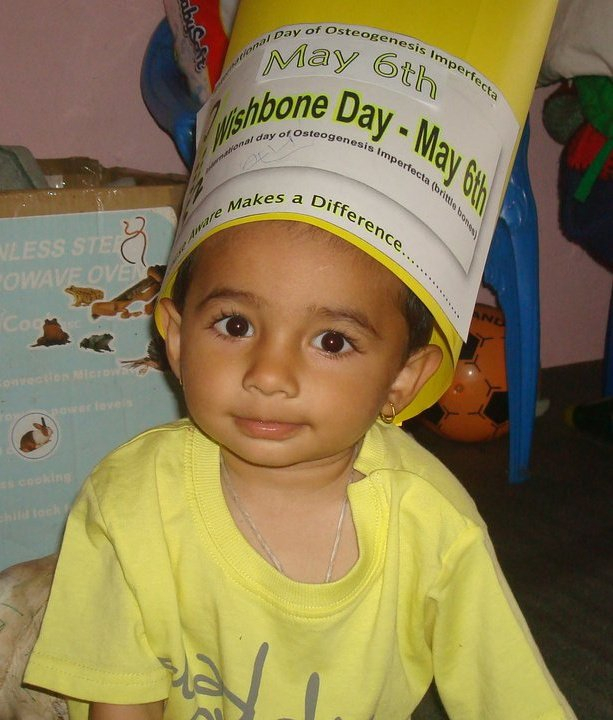 Wishbone Day 2011 is the largest community awareness day ever to raise awareness for OI worldwide. 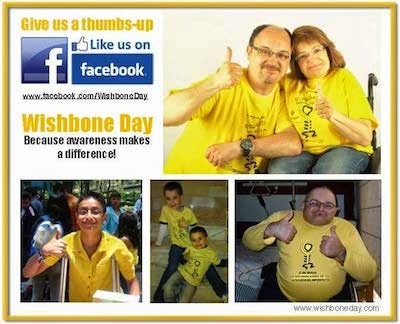 We'd like to thank all those people who wore their yellow on Wishbone Day and for the overwhelming enthusiasm to support Wishbone Day to reach the world. Watch the video to see how Wishbone Day was celebrated this year. 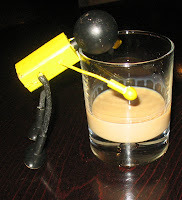 Plans are already well underway for Wishbone Day 2012! So be prepared for an even bigger celebration next year!! 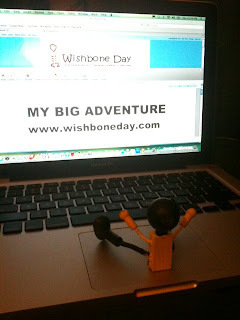 We have re-launched the Wishbone Day promo video and included a few new photos. If you didn't make 'the cut' don't be concerned. 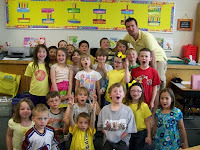 The 2011 Wishbone Day celebration video is only days away! Stay tuned for its launch soon. After a very long 17 hour flight from Sydney to LA, I've touched down safe and sound. 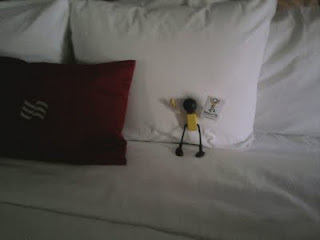 I'm feeling a bit jet lagged and tired so I'm going to get comfy in my big bed for a well earned nap. Another big day of adventure coming up soon! Wishbone Day 2011 has exceeded all expectations - yet again! We've had communities all over the world celebrate WIshbone Day and raise awareness of OI. Those who celebrated with us last year had plans for a bigger and better Wishbone Day this year. They achieved! Well done!! 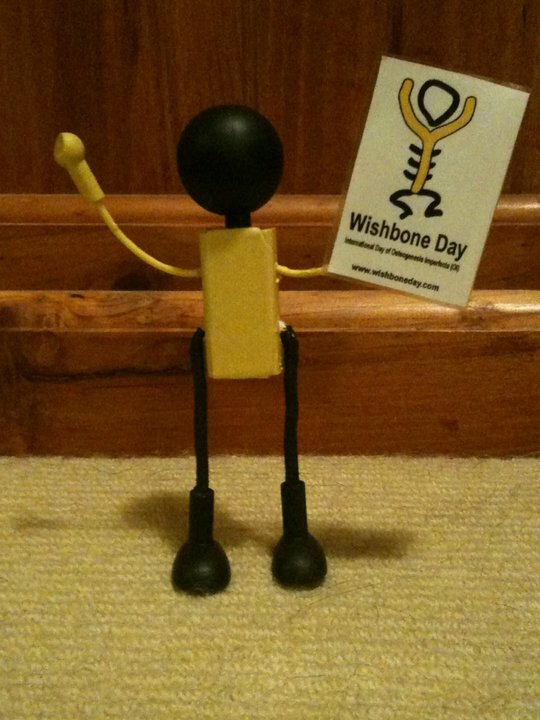 We also welcomed many new Wishbone Day supporters this year. Our Wishbone Day ambassadors have been creative in their awareness raising. By far these are the best Wishbone Day TShirt creations. Don't they look great?! Here is Catie sharing her Wishbone Day message with her peers at school. 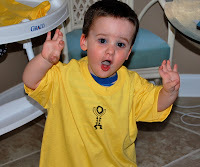 And Jakob produced this great video to help his school friends to understand OI better and learn about Wishbone Day. 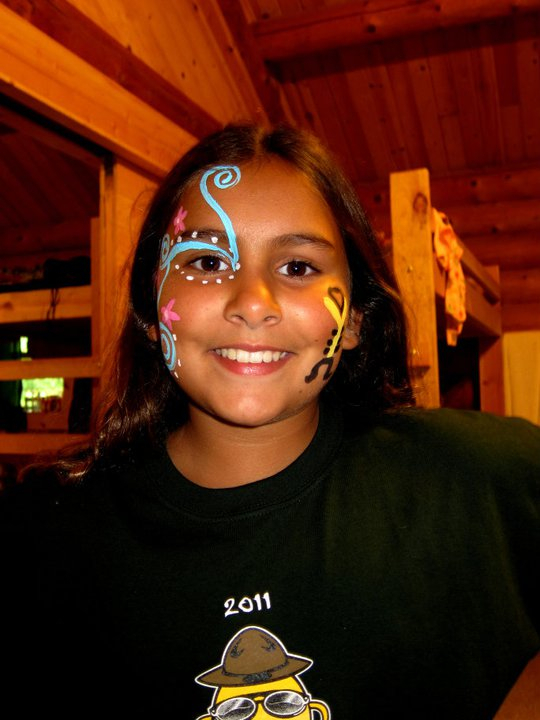 Be sure to send your photos to be included in our Wishbone Day photo album. We're updating our album daily so send in your photo contributions! For Facebook users many of the photos are available on www.facebook.com/WishboneDay. If you're not on Facebook never fear, all the photos will soon be viewable directly from our website - so, watch this space! It's been a busy few days for Wishbone Day with the majority of events taking place over the weekend. We also know that in many parts of the world Wishbone Day celebrations will continue for a couple weeks as part of conferences, clinics and other organised activities. Please keep us posted on your events as they happen! and don't forget to send your photos. I'd like to thank everyone for the amazing journey that Wishbone Day 2011 has been so far. The support and awareness shown around the world has been incredible! We'd like to finish our post today by asking you to comment on this post. Tell us: What does Wishbone Day mean to you? 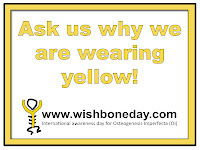 Is your business, organisation or school going yellow on Wishbone Day? 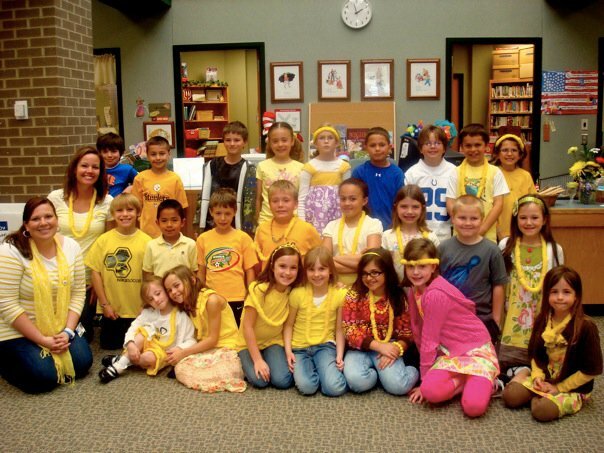 Use this poster to invite people to ask you why you're wearing yellow! Click the image to view as a larger file then right click to save and print. 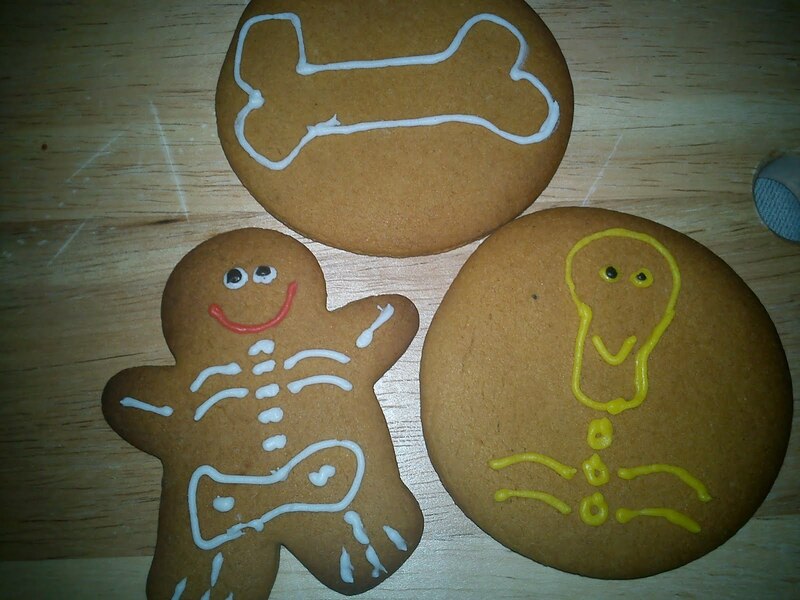 We love Gingerbread! Check out these great Wishbone Day treats. 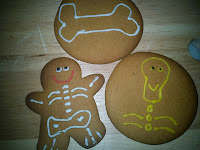 Send us your photos of Wishbone Day treats!